You created a virtual team, so now what? If you have a business with an online presence, you probably have a digital team, or at least one or more of your team members are working remotely. It’s a fact. More people are working virtually now than ever before. Technology has made this possible, and it’s a giant leap forward in progress. But there’s something many business owners forget when they’re working with people who work online. 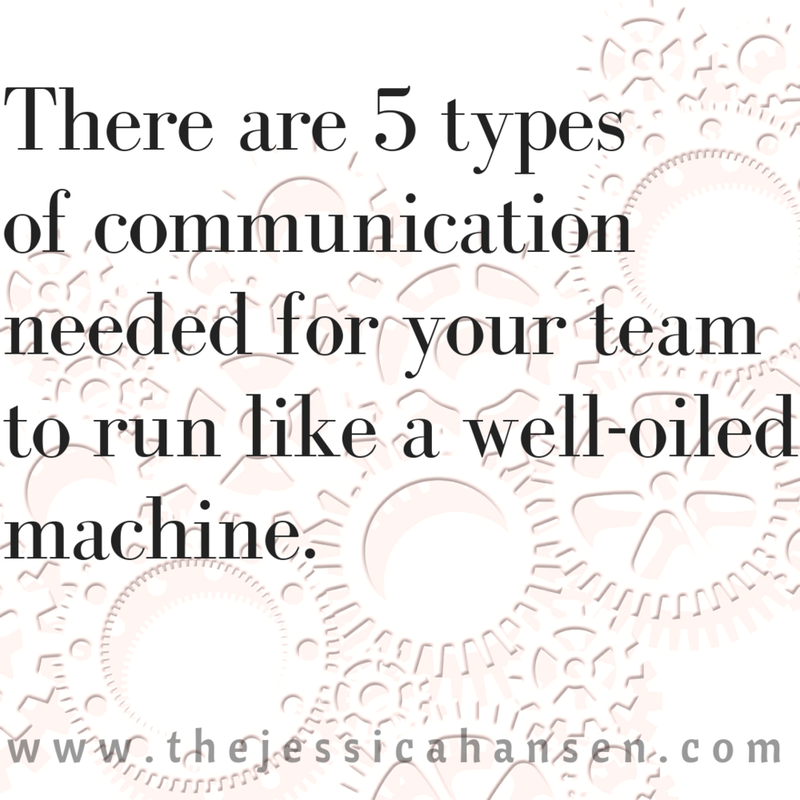 They need a solid and strategic way to communicate with their team, to make sure everyone is on the same page at the same time. You can avoid most virtual team challenges by learning this method for how to manage virtual teams.. If you want to manage a high performance team, you need to cover these 5 aspects of virtual team communication. Why? Organization is king. OK, I know Content is King. But Organization is the Queen then. If you don’t have an organization strategy for working with your virtual team, it’s a recipe for disaster. You’ll waste time, resources, and risk your hard work with a failed launch. In the past, managing a virtual team in a digital environment was mostly for the IT groups at large companies. Now, it’s for ANY online business. This means you. Yes, you need to get a system in place for this. Recently, I asked one of my clients who owns a digital marketing agency, “How do you communicate with your team?” After a slight hesitation, she replied, “Skype.” Great, she has one of the five areas covered. Now we get to work through the rest of them. 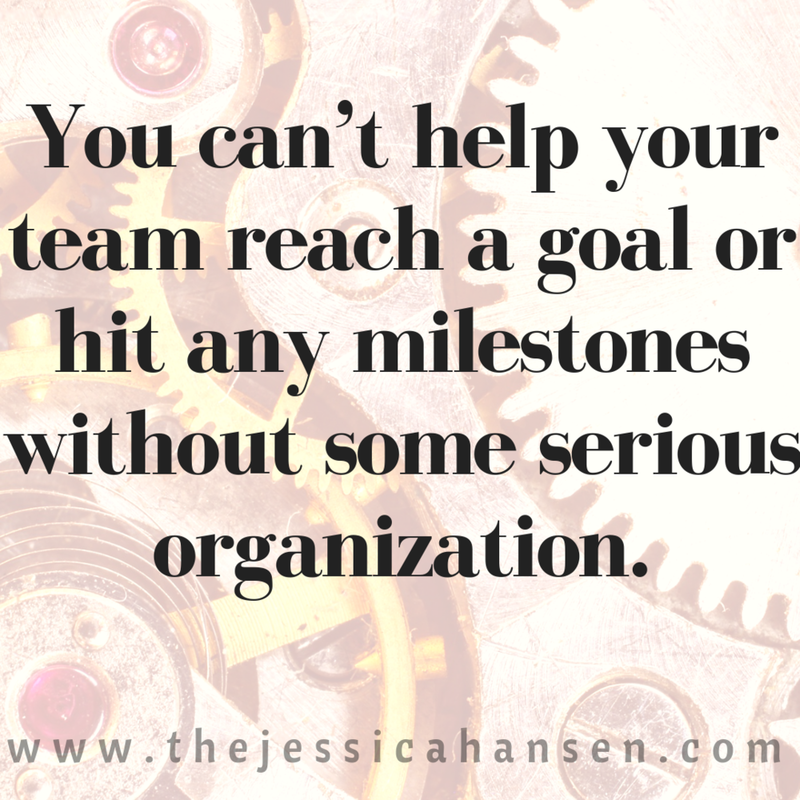 You can’t help your team reach a goal or hit any milestones without some serious organization. These are the 5 areas you need to consider. You may need more sharing capabilities depending on what your team is managing. However, you’ll want to reconsider if it becomes too complicated; you’ll overwhelm the team and it will be counter productive. Not all of your team members will be tech-savvy, and you’ll want to set everything up so that anyone can follow along, no matter what their skill level is. The first software or application you need to have in place is a project management software. You’ll need this to be able to lay out all of the tasks that need to be done, review and coordinate the timeline of the project, and to make task assignments to the different team members. There are a plethora of available software programs you can use, but as a small business, you don’t want to spend a lot of money or time learning how to manage your projects. (Might I suggest hiring a project manager as a part of your team if you don’t have one already?) Some of the most common programs are Trello or Asana, but if you’re looking for something extremely basic, you could use something as simple as a Google Sheet. For this purpose, unless you’re using Office Online with cloud functionality, you’ll want to stay away from MS Excel. You want to have a single place you can go to see the current status of your project, and who’s doing what. Once upon a time, people working in the online space used Online Forums and Message Boards to communicate. Thankfully, we’ve evolved to a much better environment for team communication. When you have a virtual team, you’re really going to need a place for the team to communicate with each other to have discussions outside of email inboxes. Why? Because emails get buried, aren’t readily available to the entire team (unless you’re all cc:d, and well, if you’ve ever been on one of these threads, you’ll know they are nasty), and can easily get lost in the shuffle. Enter Team communication Platforms, such as Slack, Hive, or even a Facebook Group (which would be the least-best option, but would work in a pinch). Why do you want one of these? Because being able to chat with the other team members on the outstanding tasks as well as link to files or images and then be able to go back and search the conversations is invaluable. For team meetings where you’ll have attendees in various virtual locations, in multiple time zones, and literally sometimes around the globe, you’ll need a way to communicate “face-to-face” with each other. You’ll want a video-call or online meeting platform. The capabilities you’re looking for are video-calling, audio-calling, screen-sharing, and recording. Some of my favorites are Zoom, Skype, or Gotomeeting, but you could also use Google Hangouts. As a business owner, you may or may not have a meeting room available for you to use when your team comes together for a workshop or sprint session. Coworking spaces are great for this, as well as hotel conference rooms, or other temporary meeting spaces. You will want to have a place that you use regularly so the team isn’t bounced around. The more familiar with the surroundings the team is each time, the less time you’ll have to waste on the “housekeeping” agenda items. Speaking of agenda, make sure you’re detailing out your agenda for your meetings each time. The less time you can spend printing hard-copies of agendas and meeting information, the better. A great place to create your meeting agendas is within Evernote, which you can attach directly into your Trello and Slack for easy viewing and team notifications. You’ll also be able to take meeting notes and share them directly from your Evernote notebook. Since your team is working all over the world, or even all over the city, you’ll want to have a single place where everyone has access to the required files and documentation which will make your project a success. Some of the files you’ll end up sharing are images and graphics, flowcharts and workflows, digital copy and articles, mockups of the final project, and any other working documents your team needs to complete their work. There are of course, many choices for this application as well, so you’ll need to know your size needs, as well as any additional security requirements you’ll have in place for your team’s data. Some easy to use file sharing applications are Dropbox, Google Drive, or a Private server in your home office. Google Drive or Dropbox are the easiest of these choices. If you’re concerned about corporate security with your company or team, you’ll want to consider having a private server with controlled access. Want a free downloadable checklist of these 5 systems? Enter your email below, and it’s on its way. Ready to Launch your Digital Team Communication? The last piece you’ll want to do is create a document explaining how each of the tools will work together for the team, and provide that in your welcome packet or as part of your team on-boarding. Sharing information between all of the team members can be easy and save you time and resources if you set it up correctly from the beginning. Now you have the information you need to make running your virtual team a success. You’ll avoid the common setbacks of running a project team easily, because you’ll have all your communications in place. If you’re struggling with how to do any of the software setup, or how to effectively delegate the tasks you need to get done by your virtual team, you should apply for a Business Intensive. You’ll have a done-for-you Book of Business which will make running your team virtually an absolute breeze. ** Disclosure: some of the links in this post may be affiliate links.